Mark Winn, who represents Bedgrove on Aylesbury Vale District Council in Buckinghamshire, made the comments while watching an episode of the BBC drama series Casualty on Saturday night. Winn, who is also a civil servant with the Ministry of Defence, was reacting to the episode’s storyline where a young mother who is suspected of being a drug addict is actually suffering from malnutrition. 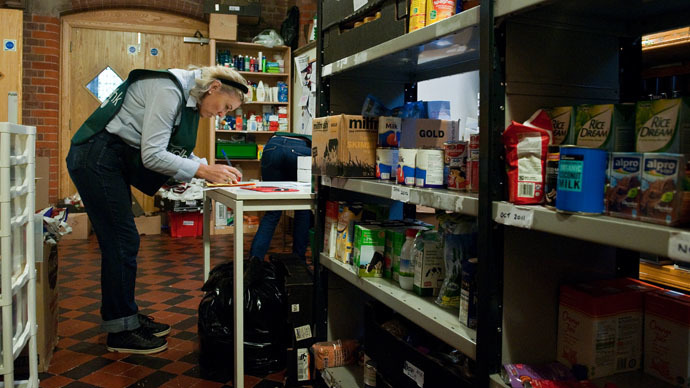 Twitter users nevertheless responded with fierce criticism.
.@CllrMarkwinn you clearly have no idea about those people who have to resort to using Foodbanks - suggest you go and educate yourself! @pgo1980 @CllrMarkwinn I am not an addict, not mentally ill, and I work. Single mum/2 kids. Need foodbank to survive. @CllrMarkwinn It shames this country that people like you are elected officials. You obviously have no idea about how the poorest live. Winn has since deleted the tweet and suspended his account since the backlash, which he described in an interview with the Independent as a “politically motivated campaign” of “abuse” against him. “His comments are extremely distasteful and also discriminate against others. A letter of complaint is being made to the AVDC leader requesting his resignation for his inhuman comments,” he said. However Gomm’s colleague, UKIP Councillor Phil Yerby, supported Winn’s comments.